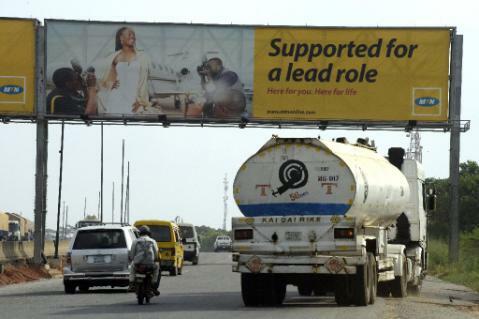 "Pursuant to the ongoing engagement with the Nigerian Authorities, MTN Nigeria has today made a... good faith payment of 50 billion naira ($250 million)," Johannesburg-based MTN said in a statement. The money was paid "on the basis that this will be applied towards a settlement, where one is eventually, hopefully arrived at," the statement added. "In an effort to achieve an amicable settlement, MTN has agreed to withdraw the matter from the Federal High Court in Lagos." Nigeria, Africa's most populous country, is the MTN group's largest market, where it had more than 62.8 million subscribers by the second quarter of 2015. The Nigerian Communications Commission (NCC), the country's telecoms regulator, at the time cited security concerns over the inability to trace users in a country plagued by frequent kidnappings and an extremist Islamist insurgency, Boko Haram. Nigeria's four major phone companies have routinely been fined in the past for regulatory infractions but none has received as big a punishment as MTN. The initial fine of $5.2 billion was more than MTN's total sales in Nigeria in 2014 and the equivalent of about 37 percent of the group's total revenue, according to Bloomberg News. Analysts fear Nigeria's decision to fine MTN will deter investors at a time when the country is reeling from the plunging oil price.